When a juvenile breaks the law, they are going to have to face repercussions. However, these juvenile offenses are handled a little bit differently than when an adult over the age of 18 commits a crime. If a juvenile is charged with a crime, we have a separate court in New Jersey whose goal is rehabilitation. If you are under the age of 18 and not charged with a sufficiently serious crime, the case is going to be handled in juvenile court. The object of juvenile court is different than adult court. In other words, in adult court, there’s a reticence to admit the crime. Obviously, you have a Fifth Amendment privilege to remain silent and we invoke that at all times. That’s not necessarily true in juvenile matters because remorse and rehabilitation play a role in the sentence that is ultimately handed out by the court. You have to know the different objectives in each court. It is important to have somebody who is experienced and knows the different ins and outs of that court because there are ways to handle juvenile matters that are greatly different from traffic offenses and greatly different from indictable matters, those matters heard in Superior Court. 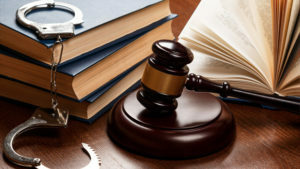 If you or your child has been charged with a juvenile offense, it is important to retain the services of an experienced attorney who can help protect the future of the child.